Congress yesterday sent a funding bill for the Department of Health and Human Services to President Trump's desk — the first time it has completed that bill in more than 20 years. 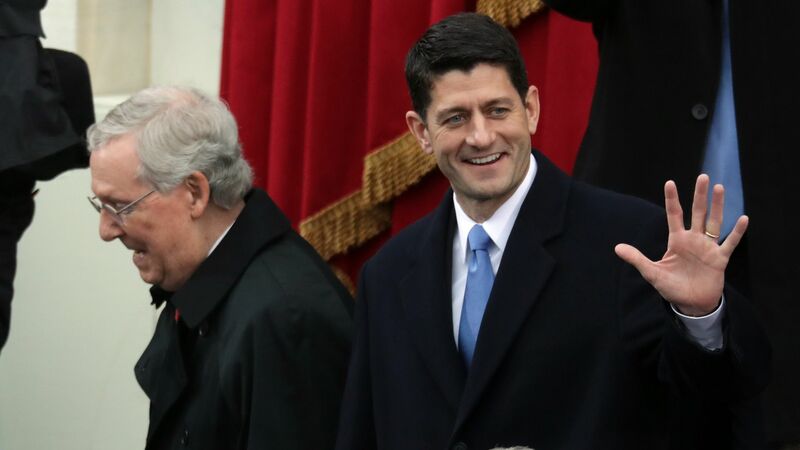 Why it matters: For all the chaos consuming Washington, this is a notable achievement for leadership, especially Speaker Paul Ryan. This bill has historically been bogged down by the politics surrounding abortion and the Affordable Care Act. How it happened: Leadership in both chambers committed early on to passing appropriations bills through regular order this year. A few strategic decisions helped get the HHS bill — usually the most difficult one — over the finish line. Leadership paired HHS funding with defense funding because conservatives weren't likely to vote against defense spending. Because the Trump administration can pursue anti-abortion policies through the executive branch, congressional Republicans felt less of an imperative to vote to defund Planned Parenthood. The bill doesn't provide any new funding for the Affordable Care Act, but also didn't cut any — a status quo Democrats could live with. Democrats also say Republicans wanted to avoid a government shutdown right before into the midterm elections.